The ABC is aiming to drive more radio listeners to podcasts with the launch of its first-ever TV campaign promoting the on-demand content. ABC is pushing its podcasts with a new campaign. The work, created internally by the ABC’s creative department, ABC Made, aims to raise further audience awareness of the podcasts, which saw downloads jump 23% in 2016 from 135m to 167m. Research backing the creation of the campaign highlighted that escapism is a major factor in people downloading podcasts, leading to the ads which invite people to ‘Hear the World Differently’ and step away from the noise that often invades their lives. Comprising four distinct ads and supported by a content series of ‘how to’ videos featuring ABC personalities, the campaign launches this week and will be supported with a tactical media spend in digital. Linda Bracken, head of content and digital at ABC radio, said that podcasting was offering listeners a way to hear new and different content they may not be exposed to through the ABC’s traditional channels. “Podcasting is a huge opportunity to reach new digital audiences,” Bracken said. Conversations was named the most downloaded podcast of 2016 by iTunes. Diana Costantini, creative director at ABC Made, said that the escapism of podcasts was what inspired the creative. “Escaping the everyday noise, with a podcast of your choice about any subject you like, is a pretty valuable proposition for audiences but it also gave us a sturdy launch pad to develop a fun and engaging campaign,” Costantini said. 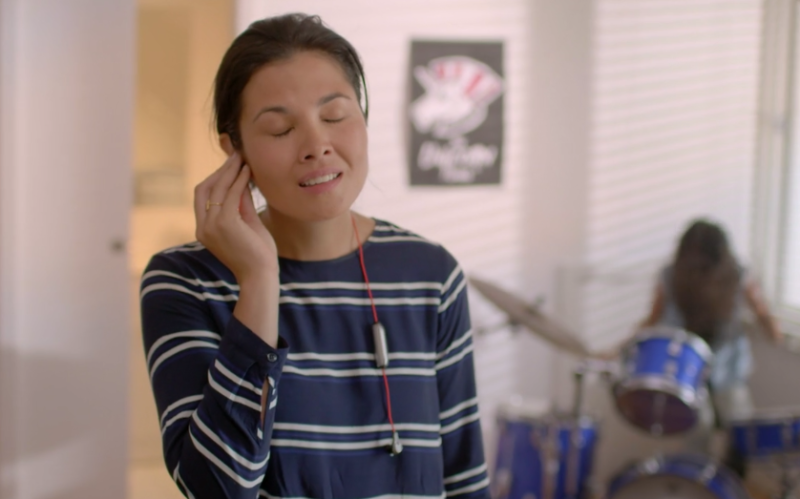 The ads feature a mother enduring her child practicing musical instruments, before escaping with a podcast, a woman escaping the cacophony of a farmyard and a man shutting out the screaming of a boot camp in a park.